Are you looking for ways to watch NASCAR streaming online? 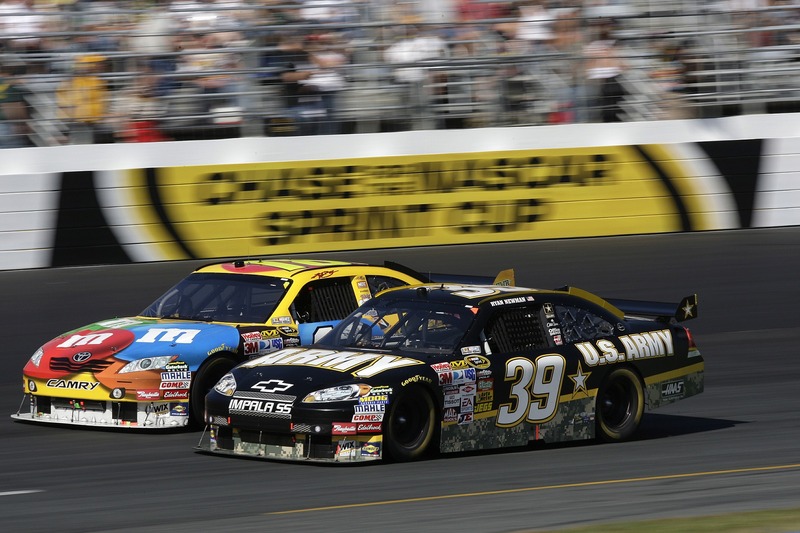 The NASCAR is one of the most popular motorsports in the USA. Although many people around the world like to follow NASCAR races, there are not that many options to watch NASCAR online outside of the US. Therefore, in this article, you can find out how to watch NASCAR live stream in Canada, UK, Australia as well as how you can access US NASCAR streaming channels from outside of the United States with a VPN service. NASCAR has several different racing series. It features car racers from all around the world and with various skill levels. Each NASCAR series has a set number of events. Furthermore, each series having different rules. The most popular NASCAR series are Monster Energy NASCAR Cup Series, Xfinity Series, and NASCAR Camping World Truck Series. Monster Energy NASCAR Cup Series is where you can find the stars of NASCAR drivers. In this series cars weight 3,450 pounds and engines can produce up to 850 horsepower. 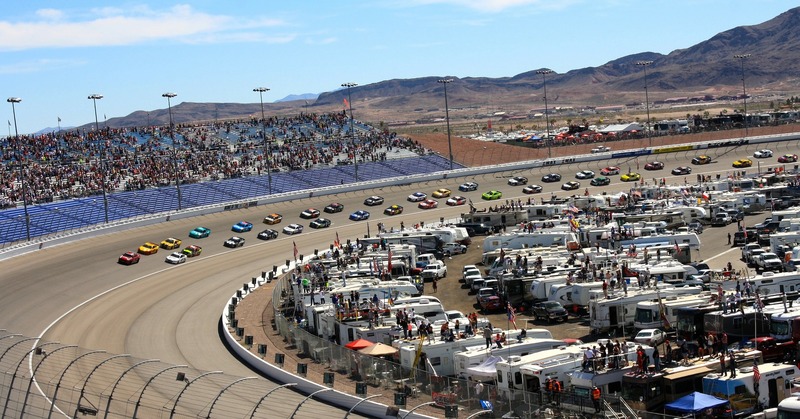 Xfinity Series is operated by The National Association for Stock Car Auto Racing, but it is considerate as a NASCAR’s “minor league.” It is providing a tournament to stock car drivers who are looking to step up and get into Monster Energy NASCAR Cup Series. NASCAR Camping World Truck Series is a pickup truck racing competition. 2017 Monster Energy NASCAR Cup season is unique and highly likely last season for Date Earnhardt Jr., who is the two-time winner of Daytona 500. NASCAR is the US based racing series. Therefore it isn’t that easy to find ways to watch NASCAR races outside of the USA. However, in this article, we have compiled a list of online broadcasters that allow you to watch NASCAR live stream from anywhere in the world. USA – NBC, NBCSN, Fox Sports. Most of these streaming services are geographically restricted. Therefore, to access it from outside of the country of its origin you need a VPN service. In the USA, there are a few ways to watch NASCAR race live online. 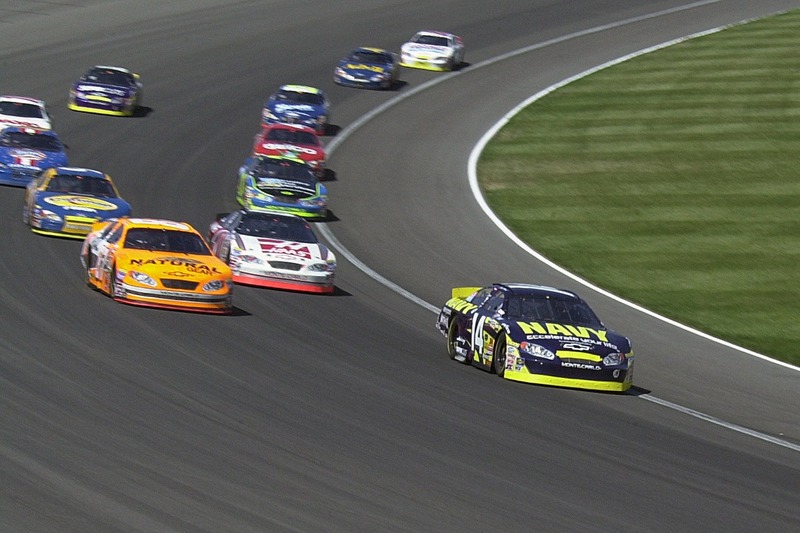 TV channels like NBC Sports, NBCSN and Fox provide a live stream of NASCAR in the United States of America. NBC Sports and NBCSN are national TV channels that are available with most of the cable TV providers. Neither NBC Sports nor NBCSN offers stand-alone subscription. Fox is another alternative to watch NASCAR live streaming in the USA. But just like NBC Sports and NBCSN, it requires having an existing cable TV subscription with Fox being included in your TV channel line-up. With Fox Go you can watch live sports including streaming NASCAR races no matter where you go, it is available for Apple, Android, or Windows devices. However, you can get NBC Sports, NBCSN and Fox Sports included in streaming services’ Sling TV, DIRECTV NOW and PlayStation Vue subscription plans. All of these services offer live streaming of NASCAR races throughout the season. Furthermore, Sling TV, DIRECTV NOW and PlayStation Vue subscription fee is a lot lower than regular cable TV prices. Also, all of these services provide a 7-day trial to its new subscribers which lets you watch NASCAR for free. Unfortunately, access to NBC Sports, NBCSN, Fox, Sling TV, DIRECTV NOW and PlayStation Vue is unavailable outside of the USA. But for the existing subscribers traveling outside of the US, you can use a VPN service to unblock these services from anywhere in the world. If you are a subscriber of TV network that provides NASCAR live stream, but you are traveling outside of the USA then you can use a VPN service to unblock these services from abroad. Get a VPN service. If you intend accessing sites located in the United States, then you will need a VPN with a server in the USA. It will allow you to change your IP to the USA from anywhere in the world. Download and set up VPN software on a device you plan to use. Sign in on the software and search for a VPN server in the United States. Select and connect to a US VPN server. Visit the site where you can watch NASCAR races and start the live stream. With a VPN service, you can unblock NBC Sports, NBCSN, Fox, Sling TV, DIRECTV NOW, PlayStation Vue and other USA based streaming services that will let you watch NASCAR live stream from anywhere in the world. In Canada, few channels allow you to watch NASCAR online. TV channels like TSN, RDS and Fox Sports Racing lets you get access to live action from NASCAR. TSN is one of the most popular sports channels in Canada; it is available with most of the Canadian cable TV subscriptions. However, it is not offered as a stand-alone service. RDS is a French speaking channel, which provides a live stream of NASCAR races in French. And, Fox Sports Racing is a motorsports focused cable network which was launched in Canada only in 2016. Just like TSN and RDS, Fox Sports Racing is also only available with an existing cable TV subscription. Currently, only Cogeco, Eastlink, Rogers Cable, Videotron, and SaskTel provide Fox Sports Racing as part of their package. If you are traveling outside of Canada and wish to access any of the Canadian channels to watch NASCAR online outside of Canada, then you will need a VPN service as most of the streaming sites are blocked regionally. Get a VPN with a server in Canada to unblock and watch NASCAR live stream outside of Canada. Download and install VPN software, sign in and look for a Canadian VPN server. Connect to a VPN server in Canada, and you are ready to watch NASCAR online from anywhere in the world. In Australia, the best way to watch NASCAR online is with Fox Sports. Most of the popular cable TV subscriptions offer Fox Sports part of its package. However, if you haven’t signed up for a cable TV, then another way to access Fox Sports online is to get its monthly or yearly subscription. Fox Sports Australia Digital subscription cost only $4.99 per 4 weeks and $49.99 per year. Fox Sports Digital gives you access to other Motorsport, NRL, AFL, Rugby, Football, Golf and Tennis events from all around the world. To access Fox Sports outside of Australia, you need a VPN with Australian server. Connect to the server in Australia, visit Fox Sports to watch NASCAR outside of Australia. In the UK, you can watch NASCAR live stream on Premier Sports. Premier Sports provides live TV coverage of many popular sports events from all around the world. It also offers on-demand services and a huge archive of Catch-Up. Premier Sports Player is an excellent way to stream NASCAR in the UK. It is offered on Sky Sports cable TV network as well as it offers stand-alone subscription service. Premier Player offers two subscription packages. Standard package cost only £9.99, and it provides access to live streaming and 7 days of on-demand and catch-up. However, Premium package cost £11.99, and it allows NASCAR streaming online, and many other events live stream, plus it offers access to full achieve of previously streamed events. Premier Sports Player is only available in the United Kingdom, therefore if you wish to access it from abroad, you will need a VPN for the UK service. Get a VPN with servers in the UK. Install and set up VPN software on a device you intend to use. 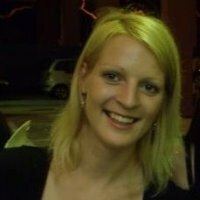 Search for servers in the UK, select and connect to one. Visit Premier Sports website, log in and start NASCAR streaming live online. With a VPN service, you can also unblock other geographically restricted content and services from all over the world. There are a few options for cord cutters to watch NASCAR without cable. The best solution is Sling TV, which is an online streaming service that offers access to many TV channels over the internet. Sling TV includes channels like Fox, Fox Sports Networks, and NBC. Therefore, you can watch the majority of the NASCAR races without cable TV subscription. Sling TV has two packages, starting with $20 fee per month without long term commitment. Furthermore, Sling TV offers also 7-day free trial which is great if you want to watch NASCAR online for free for a short period. PlayStation Vue is another excellent online streaming service that allows watching NASCAR streaming online without cable TV subscription. PS Vue offers streaming F1 and F2 channels which are great as many of the NASCAR races are airing on one of these channels. In comparison to Sling TV, PS Vue is slightly more expensive. However, if you wish to try it out, you can take advantage of its 7-day free trial. Please make sure you use a VPN service to secure your internet identity when using a third party Kodi add-ons. There are many ways how you can watch NASCAR live stream in the USA, but when it comes to people living outside of the United States, the options are limited. Therefore, in this article, we are sharing some of the best streaming sites to watch NASCAR online in Canada, UK, Australia and other places online.